The 2015 YES Summit in Jacksonville is dedicated to the short life of Johnnell Johnson, 17. who was shot and killed at a house party in April. He was a good student and football player at First Coast High School. Last April our 17-year-old granddaughter, Montana, who lives with us, asked to go to an after-prom house party with some of her First Coast High friends. We said no. 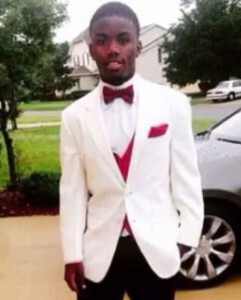 The next morning we learned that there was a double shooting at that party and First Coast High School football player, #29, Johnell Johnson, 17, one of Montana’s classmates, was killed by another youth. Even more tragic, at a vigil for Johnson, another Jacksonville 18-year-old, Jaquan Reeves, was shot and killed by another local youth. Is this Montana’s world? Is this your child’s world? It may be antithetical to raise such negatives to invoke a positive, but those of us behind the Armed and Dangerous Youth Empowerment Summit (YES) in Jacksonville have decided it’s time to draw a line in the sand. Youth violence is just one evil eruption caused by multiple internal ailments. And none of us are safe. We’re shouting YES because our youth are hearing the roar of NO in their lives. We want YES to be an annual summit that flips the script and make our youth “armed and dangerous” with empowerment, leadership, spiritual wisdom, and healthy social and physical living skills. On May 14, a routine school bus ride home turned into a ride of terror on Jacksonville’s Westside. It does take a village to raise a child, so we’re asking the community to help by registering their youth and others you know who would benefit from attending. We’re also looking for donations to cover costs and set aside enough for the following year. Please let us know if you would like to be on our YES planning board. You can also help by completing the brief YES survey that is designed to set the agenda for the key issues we should address this year, and the best speakers to invite to teach mini-workshops on those topics. We also want to showcase some of the great youth talent we have in Jacksonville so we’re also looking for registrations to perform at the YES Open Mic Night on Saturday. We’re dedicating the 2015 YES Summit to Johnell Johnson, RIP. We’re praying there will be no child to dedicate the summit to next year. Your answers to this very brief survey will help us set the agenda and focus for the 2015 Youth Empowerment Summit (YES) weekend in Jacksonville. Please help. Florida's got talent and can sing, dance and praise. Read more and register. Ready for Your YES Open Mic Audition? Copyright YES Summit. All rights reserved.